The Flash Furniture Backless Drafting Stool is a drafting stool with air lift seat height adjustment. Adjustable height is from 25-29.25 inches. The chair has pre-assembled control and a chrome cylinder extension. This drafting stool is made of heavy duty nylon base, has dual wheel casters, fire retardant foam and an adjustable chrome foot ring. 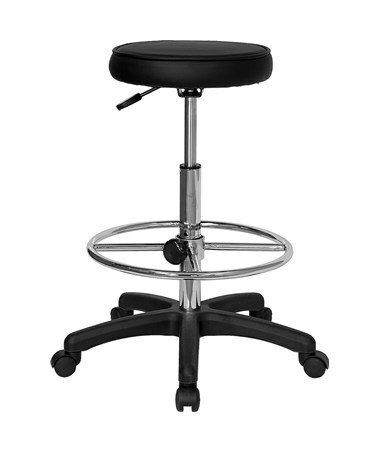 The Flash Furniture Backless Drafting Stool is available in black vinyl seat upholstery.